Welcome to the FKA Kiteboarding Forums. What's happening at your launch or across the world, new ideas, questions, if it's about kiteboarding tell us here! Also find out about Events, Travel and see unique video and still kiting image here. 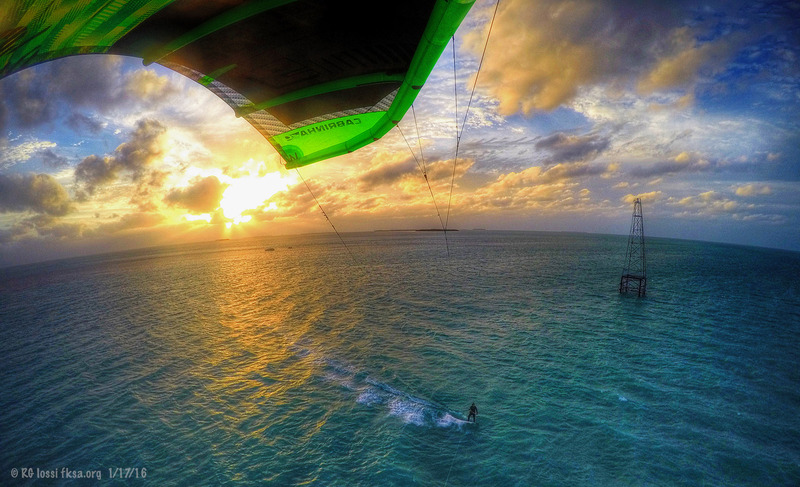 Great kite events like the Jupiter Kiteboarding Invasion, Kite4Girls, Tampa Kiteboard Masters, Islamorada Invitational, distance race down the coast or to the Bahamas, Parties and lots more. Both new and past events in photos and video. Amazing things happen undersea, it has been that way for millenia. Have a good DIVING story, tell us here. Standup is new but it is also very old. It's a core workout and one more way of having great times on the ocean. Grab the gear and go ride some small windswells or paddle into the big stuff when you're ready and of a mind. What it is, where to get the kit, questions, ideas, tell us here. Hard won kiteboarding knowledge from incidents and accidents. Knowledge will set you free ... and it should allow you a better shot at a great session without the odd go to with reality. An overview of kitesurfing launches, rules, precautions and general characteristics. Please follow the rules to preserve access to this areas. New gear, ideas, great sessions, trips, instruction, whatever ... have at it! What events are on tap for the Bay area? Find out here. Dedicated to reuniting with gear and owners. Gear for sale and don't want to put it on the statewide list, have a commercial promotion, demo day, etc. ... you know, COM stuff, put it up here. All about SUP in the Bay area, meets, competitions, questions, answers and more. Got no wind, no problem, there's SUP. Good paddling! All the Florida Keys up through Miami, Ft. Lauderdale, Pompano, Delray Beach, Jupiter up to Ft. Pierce. For Sale, Lost, Found, Wanted, QUESTIONS ... want answers, need kit, go here. South of St. Pete starting with Anna Maria Island & Bradenton way down to Flamingo on Florida Bay, also including Sarasota, Ft. Meyers, Naples, Marco Island, etc..
North of Tampa/St. Pete up through the Panhandle also including New Port Richey, Pt. Ingles, Apalachicola, Panama City, Destin, Pensacola, etc..
From Ft. Pierce northward to the Georga line including Sebastian, Melbourne, Cocoa Beach, Daytona Beach, St. Augustine, Jacksonville, etc.. Dedicated to the riders of the Bahamas. In or out of snow, time in the mountains, stories, photos, video, whatever. With kites, canopies, gliders, snowboards, skies, snow shoes, ropes or without. For folks living in the Florida flatlands, some diversions from on high are welcome at times. Travel, throughout Florida, the Caribbean and Well Beyond! Have a concept, trip or question then let us know. WAY TO GO - Kiteboarder Rescues! Acts of heroism, remarkable good will, startling innovation, valuable leadership in kiteboarding ... we're talking about exceptional actions that make a difference in preserving life & safety, pursuit and sustainability of kiteboarding and more. These acts define the value of kiteboarding beyond just an extreme pursuit. This is about recognition for folks that have earned it by their actions. If you hear about something, that is confirmed, please tell us about it here! Lessons From The Hardside, Weather Planning & Monitoring, Launch Selection, Risk Management and More. Kiteboarding articles in magazines both Kiting and the popular press written by some of our own. Keeping things flying in the FKA. Most users ever online was 17,819, 03-18-2016 at 01:22 AM.